This post originally appeared on Pinstripe Alley. You can read the original here. Rather than focus on that looming Masahiro Tanaka injury any longer, I figured I’d focus on something that will bring joy to us all: big ol’ dirty mustaches! Brett Gardner and some of his teammates have recently started growing lip caterpillars, and the team has responded by winning ten of their last thirteen games, which is no coincidence. One should never underestimate the power of the ‘stache. However, the bonus reward from this lip brow situation is that it brings back memories of another mustachioed monster, former backup catcher Sal Fasano. Let’s take a walk down mustache memory lane! The year was 2006, and the Yankees were 58-40 and in the process of running away with the American League East, as they often were during those days. Never to be content, Brian Cashman made a trade to help improve the bench defense, and maybe add a little part-time pop to the offense too. On July 26 (oddly enough, soon to be my wedding anniversary), he sent a minor leaguer named Hector Made to the Phillies for Sal Fasano, a journeyman backup catcher whom the Yankees had actually had in their system in 2004, but never called up (Sal’s actually credited with helping Chien-Ming Wang learn a sinker while catching him in AAA). The trade was a minor upgrade mostly focused on defense, because Fasano wasn’t that big of an improvement from Kelly Stinnett, who was hitting .228/.282/.304 with a homer and nine RBI as the Yankees’ backup catcher prior to that. Fasano’s impact on the fanbase was almost immediate. Because of his every-man personality and looks, the catcher had inspired a fanbase in Philadelphia. The group was named Sal’s Pals, and many of its members followed him throughout his summer in the Bronx. They wore t-shirts with his name on them, grew lip sweaters (or put on fake ones if they couldn’t) and wore long haired wigs. According to a piece in the New York Times from September of that year, after the trade, many of them made the drive from Philly to the Bronx every day from August 11-17, and had traveled, or would travel, to see him play in Baltimore, Pittsburgh, Washington and Toronto throughout the season. That’s a dedication that did not go unnoticed. While with the Phillies, Fasano once sent 20 pizzas to his pals in the right field seats. He even met a bunch of them before he was designated for assignment and traded. Sal’s Pals attempted to recruit new Yankees fans to join the crew and had some success too. Fasano also had an impact on the Yankees clubhouse. 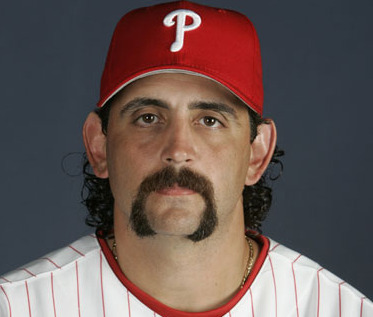 Almost immediately after the Yankees acquired Sal, his teammates caught site of his mustache and bought in. What followed was an incredible summer, as guys like Jason Giambi (of course), Johnny Damon, Bernie Williams and others also started growing bro-merangs, and the team kept winning. It was a fun bit of life injected into a clubhouse notorious for corporate suits and bland quotations, and the team went 39-25 the rest of the way, winning the division by ten games over the Blue Jays. Sure, as a backup catcher playing once a week, Fasano’s contributions to the actual wins and losses were minimal. 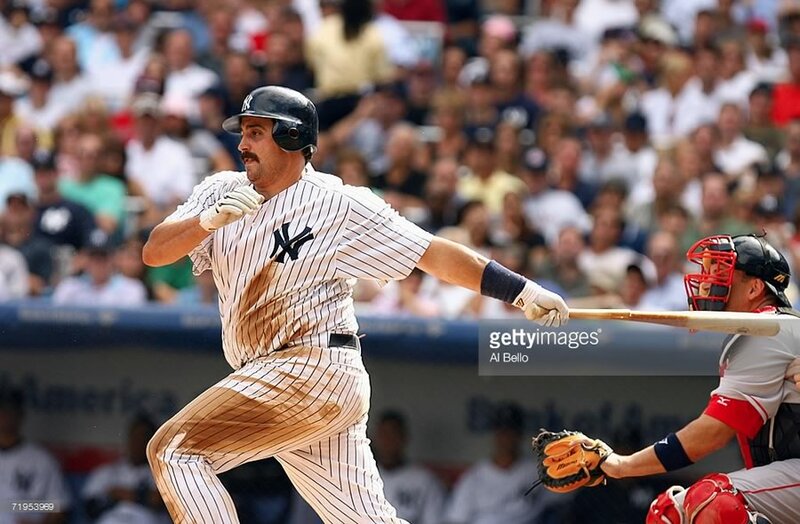 He hit .143/.222/.286 with a homer and five RBI in 28 games, but he played solid defense, gave us all a mustachioed Willy Loman every-man to root for for a few months, and introduced a new set of fans to Yankees baseball. He even impacted the media a bit, as Jeff Pearlman called him “the greatest guy in the majors” in a piece for ESPN’s Page 2 in 2007. Fasano was granted free agency after the playoffs that year, and kicked around the game for another two years, ending up with a career slash line of .221/.295/.392, 47 home runs and 140 RBI in 427 career games for nine teams (12 if you count every organization he played for at all levels)–the typical career for a journeyman backup catcher. Since retiring, he has turned to coaching, and he’s currently a roving catching instructor with the Blue Jays. He’ll never be in the Hall of Fame, or anywhere near Monument Park, but the impression he left on me, and fans everywhere he went, was something special. We miss you Sally boy!